Following its 2017 inaugural stop in Baltimore, the Community Curation Project presented by the Smithsonian’s National Museum of African American History and Culture completed the second leg of a nationwide tour in Denver. From Nov. 1 to Nov. 11, the project provided 11 days of free preservation and digitization services to Denver families and community organizations. Museum curators, archivists, genealogists and historians provided support, conducted workshops and hosted panel discussions on how to conduct family history searches online, preserve oral history and learn about local African American history, culture and religious experiences. Supported by the museum’s Robert Frederick Smith Explore Your Family History Center, the Community Curation Project empowers communities to share their family stories by providing the resources and technology to digitize and preserve materials. 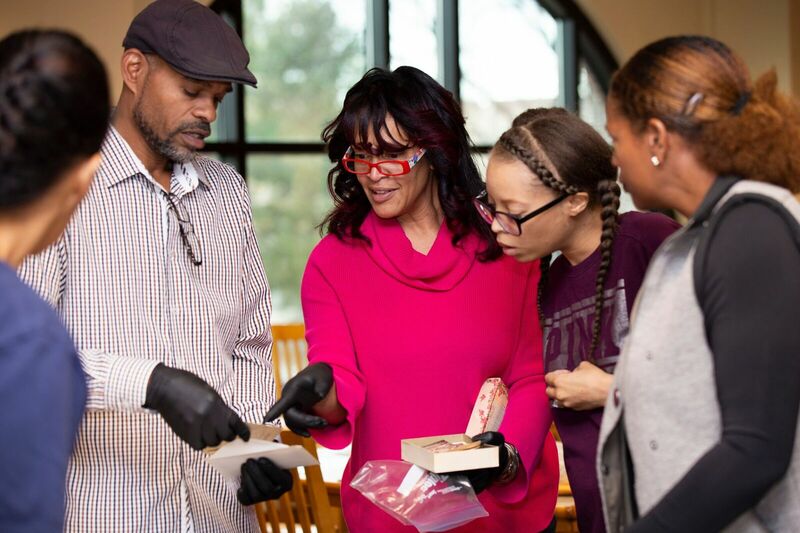 The Denver program was held at the Blair-Caldwell African American Research Library in the historic Five Points neighborhood and was presented in partnership with the library and the Black American West Museum. Families, civic organizations and community groups brought their videos, photographs and films for daily digitization sessions conducted inside the Smith Fund Mobile Digitization Truck. Outfitted with digitization equipment and scanners for the varied formats of videotape, film and still images, the digitization truck traveled to Denver from Washington, D.C. At the completion of the project, the scores of participants from Denver were able to take home fully restored and digitized versions of photographs, video and paper documents. At the end of each digitization service, participants were invited to share their digitized stories on the museum’s online community collection platform. The Community Curation Platform allows users to upload audio, video and photographs onto a searchable online platform. The Robert Frederick Smith Fund for the Digitization and Curation of African American History was established to advance digital curation, community outreach and internship initiatives at the museum. Special programs from the Robert Frederick Smith Fund include the Professional Curation Digitization Project and the Smith Fund Internship and Fellowship Program. Since opening Sept. 24, 2016, the National Museum of African American History and Culture has welcomed nearly 4.5 million visitors. Occupying a prominent location next to the Washington Monument on the National Mall in Washington, D.C., the nearly 400,000-square-foot museum is the nation’s largest and most comprehensive cultural destinations devoted exclusively to exploring, documenting and showcasing the African American story and its impact on American and world history. For more information about the museum, visit nmaahc.si.edu, follow @NMAAHC on Twitter, Facebook, Instagram and Snapchat—or call Smithsonian information at (202) 633-1000.